Walker's 'chamber of commerce mentality' management of state government has tainted public service, destroyed its mission and turned watchdog agencies into unabashed corporate subsidiaries. DNR documents show the deal gives Kohler 4.59 acres on the northern edge of park. The land is valued at $59,700, according to independent appraisals. Kohler would also get an easement to the main entrance road to the park and other land on which it would build a road leading to a maintenance building. The easement of 1.88 acres is valued $9,400. Question 1. Is that the best way to appraise the value of those publicly-owned acres and what is its profit-generating value over the project life cycle? Question 2. What has been the Wisconsin-taxpayer-subsidized cost in staff time - - principally supplied by a DNR stripped during the Walker years of funds and employees - - to help one privately-owned business plan and open a privately-owned golf course which will be marketed to upscale golfers? * The project has been the subject of public employee reviews by the DNR since the spring of 2015, according to a web page put up by the agency that details numerous review stages, including hearings, which the DNR has supervised. 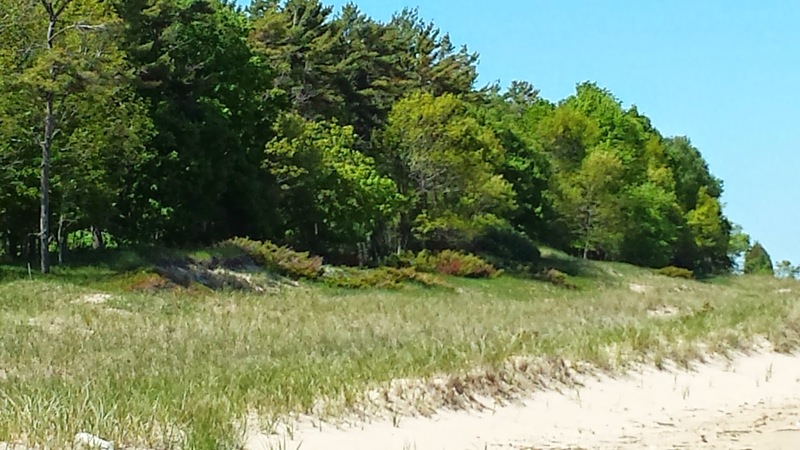 * And the Natural Resources Board is working towards redoing the master plan for Kohler Andrae State Park to accommodate the proposed golf course, including land transfers, road-building, traffic access, etc. But that wasn't really the beginning of what I've called on this blog the DNR's smoothing of the proposal for its eventual permitting and construction. * Working your way through the DNR web page, you will find this link to a pdf file containing substantial email traffic among numerous DNR officials and staffers about the project dating to March, 2014 - - including agency review of an earlier Kohler development since abandoned involving the same company and dating to 2011. On page two, you will see Kurt Thiede, then a DNR manager who is moving to the US EPA regional office in Chicago as Deputy Administrator to his former DNR boss, Cathy Stepp, asking DNR staff for maps and design suggestions for locating a golf course building within the adjoining state park. On page 50 of the pdf file, a Kohler representative asks Walker for his assistance obtaining for the project some so-called "innocuous" acreage in the adjoining state park. Kohler, a financial supporter of Republican Gov. Scott Walker, spoke with staff from the governor's office, the DNR and the Department of Administration in late April about the easement, Walker's spokeswoman, Jocelyn Webster, said in an email. * Note also that the Wisconsin Department of Administration helped the company quickly win the annexation of the project site to the City of Sheboygan, so add the DOA to the DNR and the National Resources Board to the roll call of state agencies facilitating the project. Think about all the hours of public employee time committed by the DNR, the Natural Resources Board, the DOA and the Governor's Office to getting one private business's plan for a privately-owned golf course aimed at upscale users through permitting and construction. I'll bet the cost in public dollars could have funded some real progress towards perhaps cleaning up some of the many, multiplying waterways added to the impaired list on Walker's watch. Thanks for the post. I would guess many thousands of DNR staff time were spent on the kohler golf course project and the EIS still reads like it was written by a middle school student.